The flag that flies atop our “new” flag pole at the farm. One of our “Top 30” goals for 2012 was to resurrect the old flag pole that used to fly at my Mom and Dad’s house. My dad had built the flagpole from recycled iron piping in 1976 – and I can remember hoisting up and down the flag hundreds of times growing up. It proudly flew the American Flag until sometime in the early 2000’s, when the pole rusted through at the base during a summer storm and fell over. Every single one of my brothers and sisters, and even my oldest niece remember the pole – and how we put our hand prints into the concrete the day my dad poured the foundation. Dad then inset a 1976 Bicentennial quarter into the concrete to date the occasion. 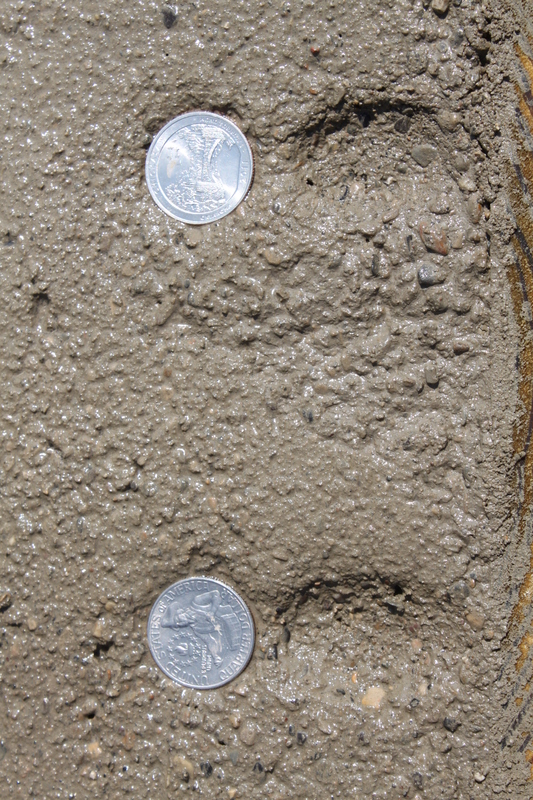 In fact, the old concrete base with the hand prints is still in the ground today at the house – and you can still make out all of those little fingers in the concrete. When we took down my Dad’s barn last fall – we found the 25′ pole up in the top of the barn rafters, and we knew at that moment it had to become part of our “new” old barn’s landscape. So we hauled it back to the farm – and put it on the “to do” list for the coming year. Figuring there was no better time than the 4th of July – we began the process of putting the pole back up. 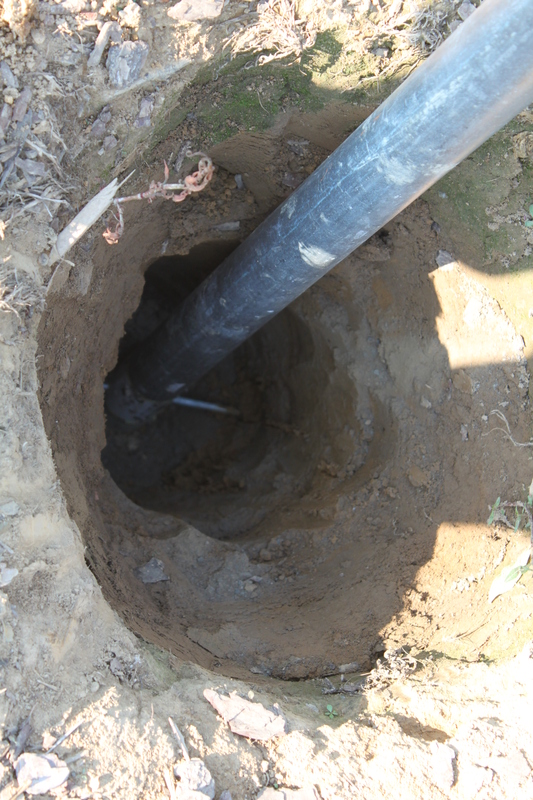 We purchased a 6′ heavy duty length of 2 1/2″ galvanized pipe to secure into the ground. And after digging down about 42″ – we mixed and poured the concrete and leveled the base pipe of the new flag pole. 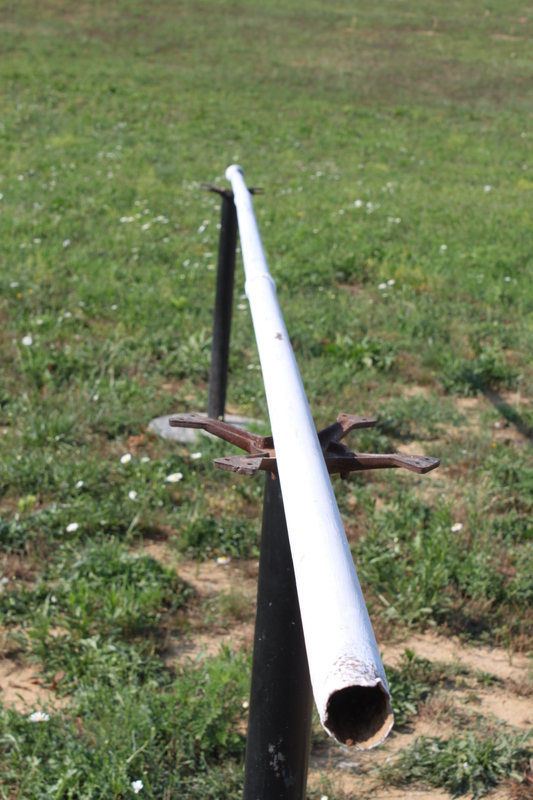 While I dug out the hole – Mary sanded down the old pole and primed it before adding two coats of high gloss black paint to make it “brand new” again. We created a square form for the top – and – to honor the heritage of the pole – placed another bicentennial quarter in the concrete – along with a 2011 quarter to commemorate the new barn project started last year. Since our base was a little smaller at the top, we opted to put just our thumb prints into the concrete. I’m always amazed looking back at my Dad’s ingenuity – but as Mary sanded down the pole – she realized he had made the top “ball” ornament of the flag pole out of an old wooden ball – probably re-used from something he had found 🙂 – but as with everything he did – it looked and worked great! 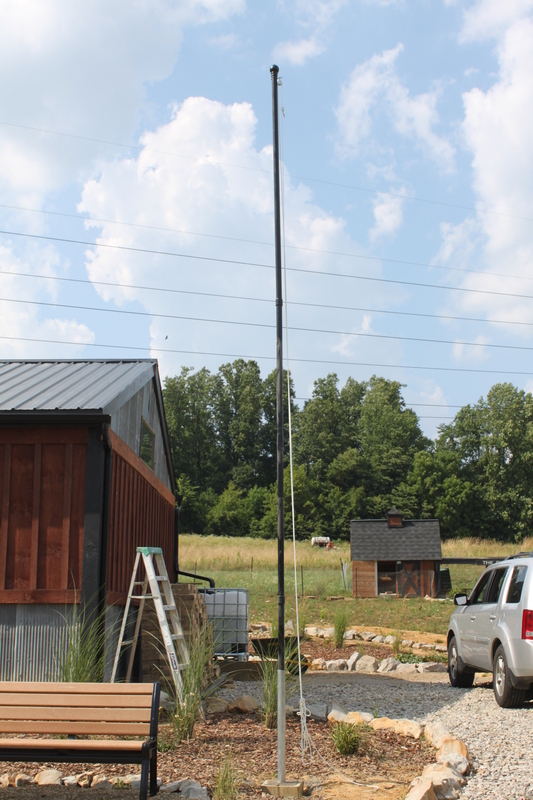 After drying and curing – we slid the old pole down inside the base – installed a new rope and pulley – and at 5:35 pm on July 4th – we rose the American Flag up the pole once again. With Dad’s old flagpole in place- the farm starts to take shape. 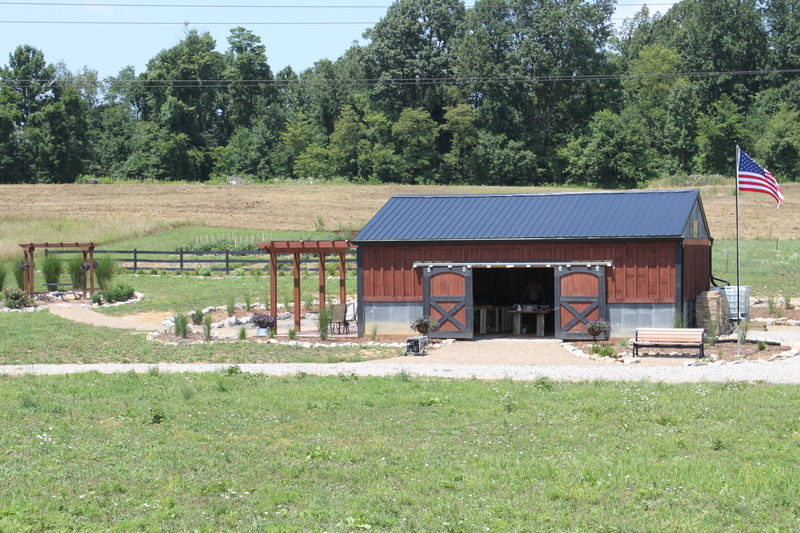 It’s hard to believe just four stakes were in place a year ago to mark where the barn would go. Preparing the pole – Probably the scariest moment was picking up the pole to slide it into the base. Once done – we secured the new rope and the project was complete!